Elegant dishes for Valentine’s Day! As a Chef, we all channel our inner Julia Child in the kitchen. Learn to make some French Classics in this cooking class at the Holy Nativity Community Hall on February 9, 2017. When I was in culinary school, we learned the Escoffier method, which is the basis of most cooking in America. Whether you enjoy browsing Julia’s Mastering the Art of French Cooking cookbook, recall a special dish at a restaurant you enjoyed in France or in your own neighborhood, the French Classics are comforting and endearing dishes that spell elegance. In this French Classics cooking class, we will explore some of the French methods of cooking I was taught in culinary school. How to braise chicken in the Coq au Vin. With the Gougere Puffs, we will learn to make a pate´ choux (looks like cauliflower – a lumpy dough). We will have a French vinaigrette lesson thickened with egg in the Salad Nicoise. 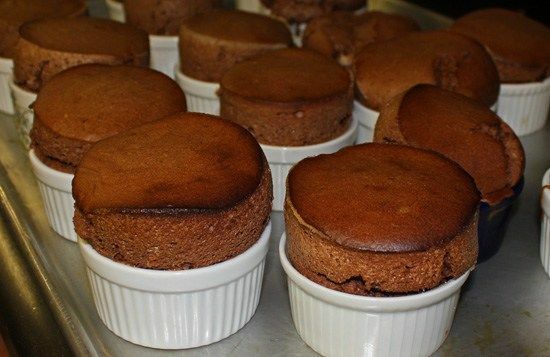 A Béchamel sauce is the base in the Puree d’Epinards and how to fold egg whites into a custard in the Chocolate Souffles. Click here for more information and learn how you can impress your sweetheart for Valentine’s Day with this elegant menu! Patricia K. Rose, of Fresh Food in a Flash, will lead this hands-on cooking class on Thursday, February 9, 2017, 6:00-9:30 at the newly remodeled Holy Nativity Community Hall in Westchester. Once we complete the cooking, sit down and enjoy a meal you and your new friends made together with a glass of wine. Cooking Class fee $50 when you reserve by February 6, $60 thereafter if space available. To reserve your spot, email [email protected]. Classes take place at Holy Nativity Community Hall, 6700 West 83rd Street, Westchester, CA 90045.